scrub me™ is dedicated to what goes into each and every product we make. Our philosophy to keep our ingredients as minimal and purposeful as possible has proven to have amazing results! When you use all natural, chemical free, non-carcinogenic ingredients you can feel good about what your body is absorbing and we see it reflected in your skin. As always, we love for our customers to be as knowledgeable as we are about our products; we have compiled a list of our ingredients to review. Enjoy! Argan oil: A plant oil derived from pressing the kernels of an Argan tree. This oil is rich in antioxidants and is highly nourishing. You can find this oil in our restoring bar. Avocado oil: A fatty oil obtained by pressing the avocado fruit. This oil also contains vitamins that are vital to skin health and also helps contribute some natural green coloring in soap. You can find this oil in our restoring bar. Babassu oil: A vegetable oil extracted from the seeds of a Babassu Palm Tree. This oil is very similar to coconut oil except for it has zero pore clogging properties, making it better for facial products. You can find this oil in our treatment bars. Candelilla wax: a plant wax derived from the leaves of the Candelilla shrub. This wax is very similar to beeswax. We have replaced beeswax with this wax in our products to ensure everything is vegan. You can find this wax in our lip balm and polish. Castor oil: a vegetable oil extracted from castor beans that come from the castor oil plant. This oil contains antioxidants and is known to have anti-inflammatory and therapeutic benefits. You can find this oil in our soap and treatment bars. Cocoa butter: A vegetable fat extracted from the cocoa bean. This butter contains healthy fatty acids for nourishing skin. You can find this ingredient in our bath bombs. Coconut oil: An oil extracted from the kernel or meat of coconuts. This oil has nourishing and cleansing uses, you can find this oil in our scrubs, body butters, soaps, and lip balms. Essential oils: Natural oils derived from various plants, fruits, and flowers. These oils are commonly made from a distillation process. This means the natural material (plant, flower, etc.) is set over boiling water and steam vapors help pull the essential oil from the material. You can find essential oils in all our products except for our unscented butter. Fractionated coconut oil: A fraction of coconut oil. This is coconut oil with some of the fats and other components removed. This oil has no scent unlike coconut oil and a longer shelf life. It is used to condition skin and lock in moisture. 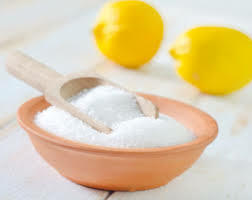 You can find this in our sea salt scrubs. Olive oil: An oil made from the fat of an olive. This oil is produced by pressing whole olives. This oil gives soap a rich and creamy feel and has gentle effects on skin. You can find this oil in our soaps and treatment bars. Shea butter: A solid fat extracted from the nut of the African shea tree. This butter is ultra-hydrating and can absorb more easily into skin than coconut oil. We use this fat in our soaps, treatment bars, body butters, and lip balms. Steric acid: A wax like material that is made from the saponification of triglycerides in vegetable fats. This ingredient is used to help create a softer, pearly texture in our cleansing facial scrub. Sustainable palm oil: Oil derived from the palm fruit, found on African palm trees. There has been controversy about the harvest of African palm trees and the effect on the environment. Sustainable palm means it is derived from a tree grown in a plantation rather than in the forest. This oil helps in the texture and preservation of our soaps and treatment bars. Sweet almond oil: A nut oil derived from almonds. This oil is rich in vitamin E making it very moisturizing. It is known to be hypoallergenic and safe for all skin types. You will find this oil in our salt scrubs and bath bombs. scrub me secret: what are saponified oils? In order to make soap we need fat to mix with a substance called lye to create a reaction that results in saponification. In our case we are using natural oils as our fats. Even though lye is not a natural compound when it reacts with the fat and creates saponified oils there is no longer any lye left in the product. This is why you will see "saponified oils" on the label of many natural soaps. Bentonite clay: A powder like substance composed of minerals from the earth. This ingredient provides cleansing and detoxifying properties for skin. You can find this in our restoring treatment bar. Coffee grounds: This ingredient come from grinding whole coffee beans to make a fine powder. Coffee grounds are packed with caffeine that stimulates skin and helps bring circulation to the surface while exfoliating. You can find this ingredient in our fennel man soap and renewing cleansing facial scrub. Cranberry seeds: These are small seeds that comes from cranberries. These seeds provide a medium-strong exfoliation that is safe for face and body. You can find this ingredient in our polishing bar and renewing cleansing facial scrub. Crushed rose hip: This fine sand like substance is made from the fruit of a rose plant by drying and then pulverizing it. This ingredient is packed full of antioxidants and vitamins that can help slow the aging process. You can find this in our lip polish and renewing cleansing facial scrub. Oatmeal: Made from grains that have been crushed or broken down. Oatmeal has a soft texture and soothing properties that make it best for lightly exfoliating sensitive or reactive skin. You can find this ingredient in our cedarwood and eucalyptus man soap. Poppy seeds: Small seeds harvested from the dried seed pod of a poppy plant. Similar to cranberry seeds only a bit smaller. These seeds provide a strong exfoliation due to the fact that they can pack together tightly in an exfoliating bar. You can find this ingredient in our patchouli man soap. Premium Epsom salt: A naturally occurring material with amazing detoxification benefits. This ingredient can pull impurities from the skin and body while exfoliating. You can find this ingredient in our body scrubs. Premium Bokek salt: A dead sea salt that has purification and detoxifying benefits. This salt also provides a gentler exfoliation for skin than Epsom salt. You can find this salt in our body scrubs. 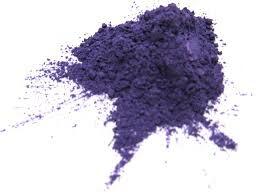 Purple Brazilian clay: A powder-like substance that comes from clay pits in Brazil. Minerals and natural materials in the earth give it its color. This also helps draw impurities from the skin. You can find this ingredient in our soothing body scrub. Sea clay: A powdery substance derived from minerals and sediments in the sea. This ingredient can help draw impurities from skin. You can find this ingredient in our invigorating body scrub, Moroccan mint soap bar, and restoring treatment bar. Yellow Brazilian clay: A powder-like substance that comes from clay pits in Brazil. Minerals and natural materials in the earth give it its color. This also helps draw impurities from the skin. You can find this ingredient in our original body scrub. scrub me secret: since exfoliation is our favorite part of our skin care routine we have a ton a different ways to scrub your skin. Over half of our products exfoliate skin in some type of way; each specific to a skin type or skin care concern. Happy scrubbing! Baking soda (sodium bicarbonate): A powdery mineral compound. Baking soda helps balance the pH of bath and body products. Also it is a great all natural, non carcinogenic substance to fill our bath bombs. You can find this ingredient in all our bath bombs. 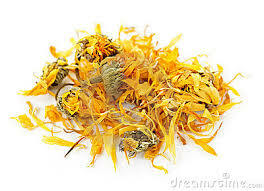 Calendula extract: A liquid extracted through the distillation of a calendula flower. This extract can be added to skin care to increase the healing benefits. You can find this ingredient in our clarifying bar. Calendula flowers: A group of flowers common to southwestern Asia and western Europe. The most common flower in this group is the marigold. These flowers have great healing properties for skin and can be dried and used in skin care. Find this ingredient in our clarifying treatment bar. Citric acid: A sand like substance that is derived from citrus fruits. It can help speed cell recovery in skin and also is what makes our bath bombs “fizz”. Find this ingredient in our bath bombs. Colloidal oatmeal: Very finely ground oatmeal. This ingredient has soothing properties for sensitive or reactive skin or eczema and psoriasis. You can find this ingredient in our cedarwood and eucalyptus man soap and our Moroccan mint tea soap. Cornstarch: A powder derived from the kernel of a corn grain. Cornstarch helps to absorb excess oils and helps to keep our bath bombs dry to extend their shelf life. Find this ingredient in our bath bombs. Cucumber peel extract: A powdery substance that is derived from dried cucumber peels. This ingredient is packed full of vitamins and has firming and refreshing properties for skin. Find this in our toning bar. Mica: Naturally occurring material that is composed of fine metals and minerals. This is a natural way to add color to skin care products. Vitamin B3: Also known as niacin this is a vitamin that aids in circulation in the body. B vitamins are also key vitamins that our body needs to function correctly. Find this ingredient in our lip balm and polish. Questions, comments and feedback about certain products or ingredients can be voiced in our feedback section of our website.